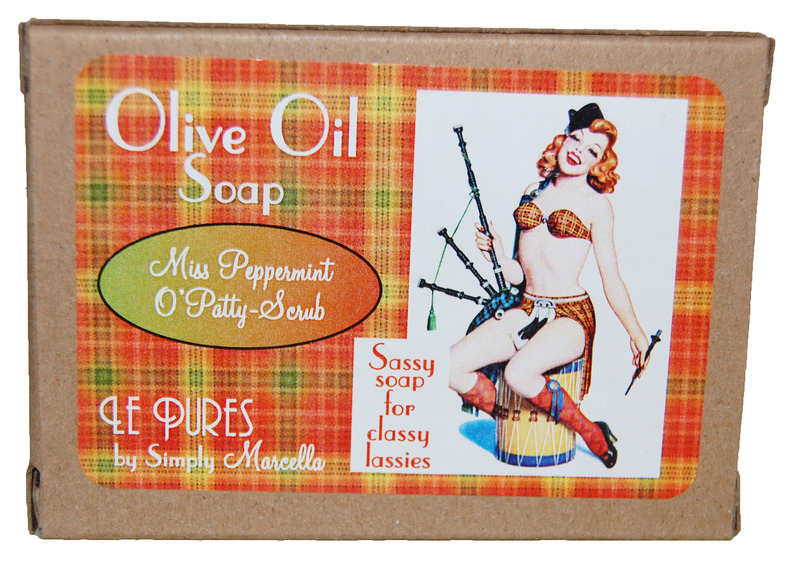 Invigorate yourself with the thrill of peppermint! 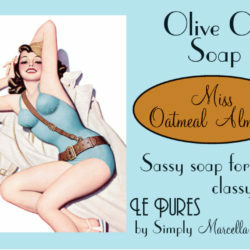 Not only does this all natural soy soap have an amazing fragrance, it also has millet and poppy seeds for an exfoliating scrub. 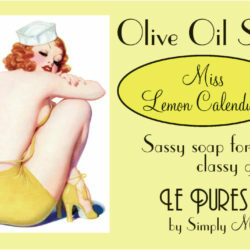 Wrapped in our fun pinup inspired box, this soap makes a great addition to your day or the perfect gift. 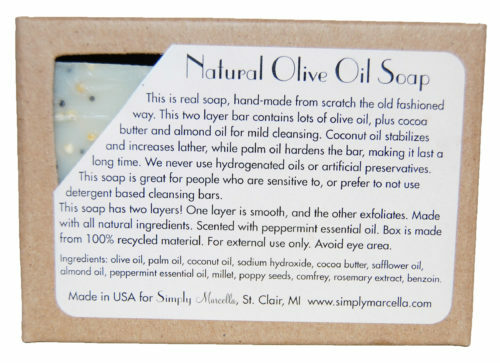 Each 4.5 oz bar is 100% natural and packaged in a recycled paper box. 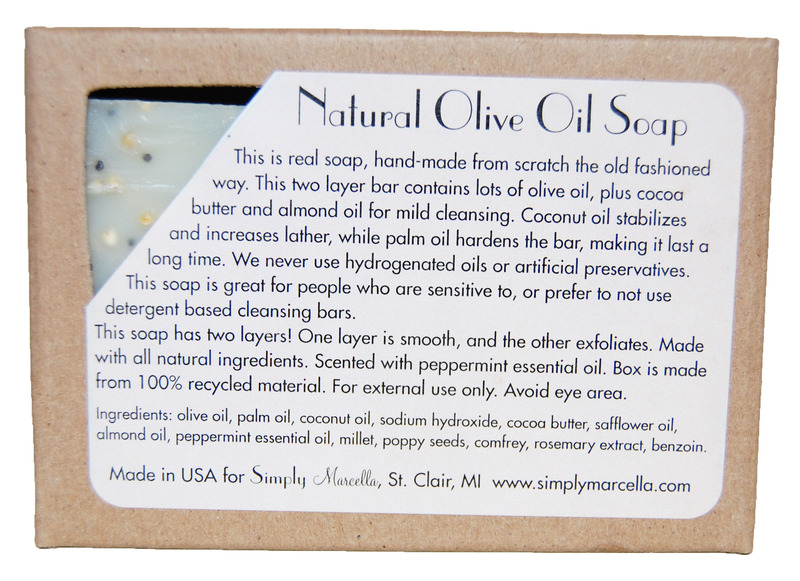 Product Ingredients: olive oil, palm oil, coconut oil, sodium hydroxide, cocoa butter, safflower oil, almond oil, peppermint essential oil, millet, poppy seeds, comfrey, rosemary extract, benzoin.